UCB, based in Brussels, Belgium, is a biopharmaceutical company worldwide with a team of 9,000 people, a strong presence in the market in approximately 40 countries, 3.4 billion euros in revenue (2012) And numerous strategic partnerships in the industry. 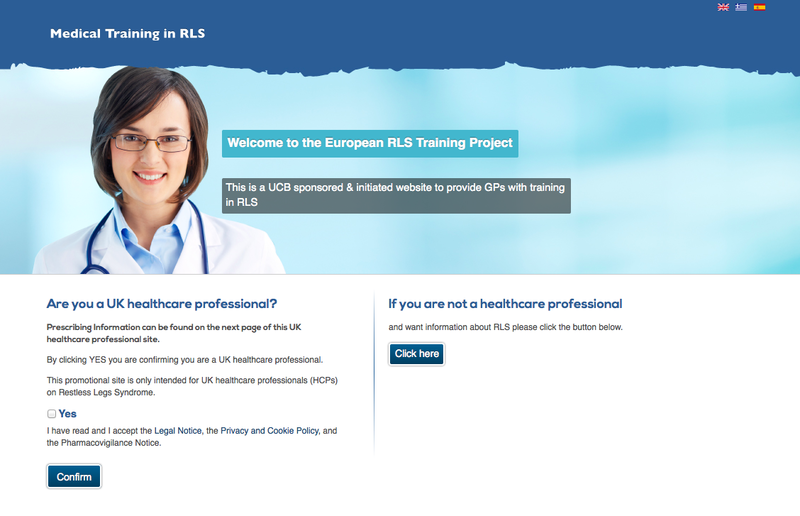 For UCB a multi-language website (Spanish, English and Greek) was created with elements programmed as an online survey that participants had to fill to get their free code of participation in training. It also included a code-recognition registry system and a multi-language Chamilo virtual campus adapted to the legislative regulations of each participating country. The project developed by Contidos Dixitais allowed the configuration of different access conditions based on the selected language and a total adaptation to the corporate image requirements of the company and the different sponsors. The virtual campus of the project included a repository of scorm content in several languages, self-assessment tests, performance monitoring tools and online surveys. 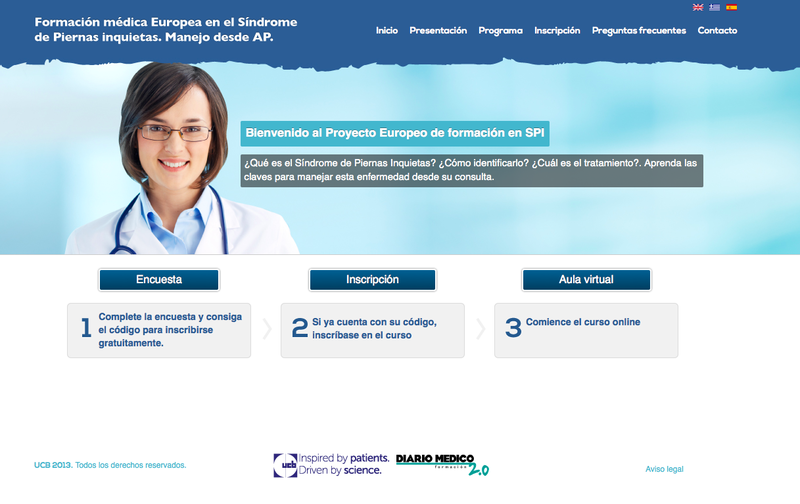 Through this project was formed in restless legs syndrome more than 1,200 European doctors .